Clay masks are useful for exfoliating the skin. Thus, you can use red clay to draw out impurities from your skin and make it smooth. It tightens the skin, refines the pores, reduces flakiness, clarifies skin texture, and improves circulation. In addition, it can help condition your hair. Red clay is also known as Rhassoul Clay, Red Moroccan Clay, Moroccan Rhassoul Clay, and French Red Clay. It contains silica, iron, magnesium, calcium, sodium, and other minerals. As this clay tends to stain the skin, consider adding other colors in your facial masks. For instance, you may add turmeric in it. It is suggested to prepare and store red clay masks in glass, plastic, ceramic or wooden bowls instead of metallic ones. This cosmetic clay is reddish brown in color and is suitable for all skin types yet particularly good for combination and oily skin. • Applying a combination of red clay and water (preferably distilled water) for about 10-15 minutes and then rinsing it off with lukewarm water is highly beneficial for oily skin. In case you have dry skin, you can combine red clay with cream; in case of normal skin type, use milk instead of cream. You can mix it with herbal infusions, as well. It is recommended to take facial steam to cleanse your face before applying this mask. • Hydrate your skin, eliminate dead skin cells, and improve its elasticity by applying a mixture of red clay, aloe vera juice, and finely ground chamomile flowers. 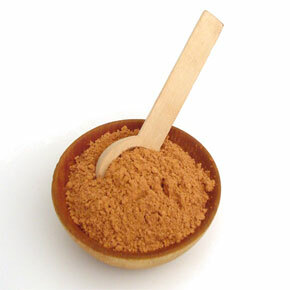 • Make an anti-aging facial mask by using a paste of red clay and ginger juice on your skin. Consider adding a few drops of an essential oil, too and let it sit for five minutes. Apply the mixture and wash your face after about half an hour when the clay dries. Here’s a video showing how to do a red clay mask. • When dealing with acne, mix one tablespoon of apple cider vinegar in two to three teaspoons of red clay. Apply this easy homemade recipe on your face and neck. After 10-15 minutes, rinse it off with lukewarm water. • Another red clay face mask for acne can be prepared by adding three teaspoons of plain yogurt, two drops of lavender oil, and one drop of tea tree oil in about two teaspoons of red clay. Leave this mask on your skin for 15-20 minutes and wash it off with lukewarm water after 15-20 minutes. Follow up with a toner and moisturizer. If you do not want to use yogurt, you may opt for a chamomile or peppermint tea. • You can rejuvenate dry skin by applying a combination of one teaspoon each of red clay, white clay, organic honey, and two to three teaspoons of whipped cream. Leave this recipe on your face for about 10 minutes. • Mix red clay in water and a little honey to form a paste. Use this mixture on your hair once or twice a month to revitalize dull hair. It is also likely to give a reddish tinge to your hair. • You can make a body wrap with this red/white clay to reduce cellulite. For this, you need to boil six cups of water mixed with a cup of dried chamomile, parsley or dandelion. Leave the solution aside for about 10 minutes. Next, add one and a half cup of water, aloe vera gel, witch hazel, or apple cider vinegar in two cups of clay. Mix 10 drops of lemon essential oil in it. Finally, pour the herbal infusion in this mixture and apply the resultant paste on the affected areas and wrap a warm towel. Take a shower after about an hour or so.